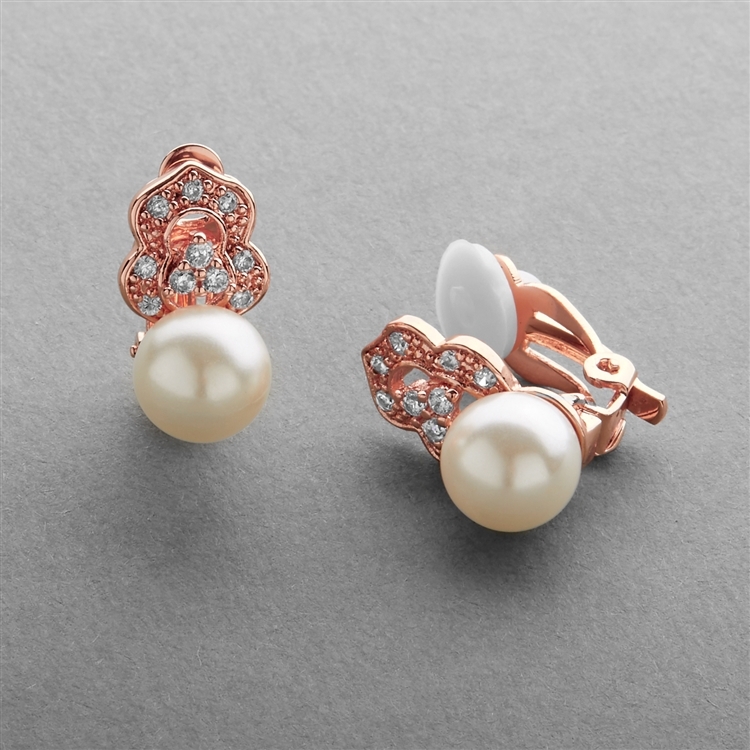 Mariell's designer 3/4" h Pearl & Cubic Zirconia Wedding earrings are modern with a hint of vintage romance. 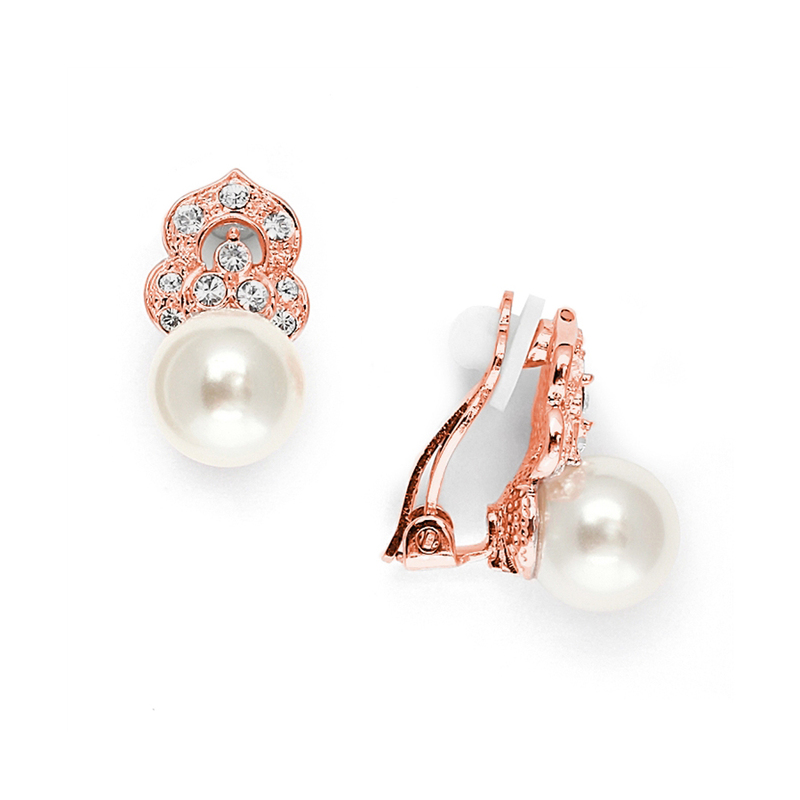 Our rose gold earrings have 8mm soft cream pearls accented by pave CZ's. Non-pierced clip-on backs with removable comfort disc pads. These earrings are also offered in pierced version (3827E-RG). Mariell's designer inspired soft cream pearl & Cubic Zirconia wedding or special occasion earrings are a beautiful understated accessory for brides, mothers of the bride or any formal affair. 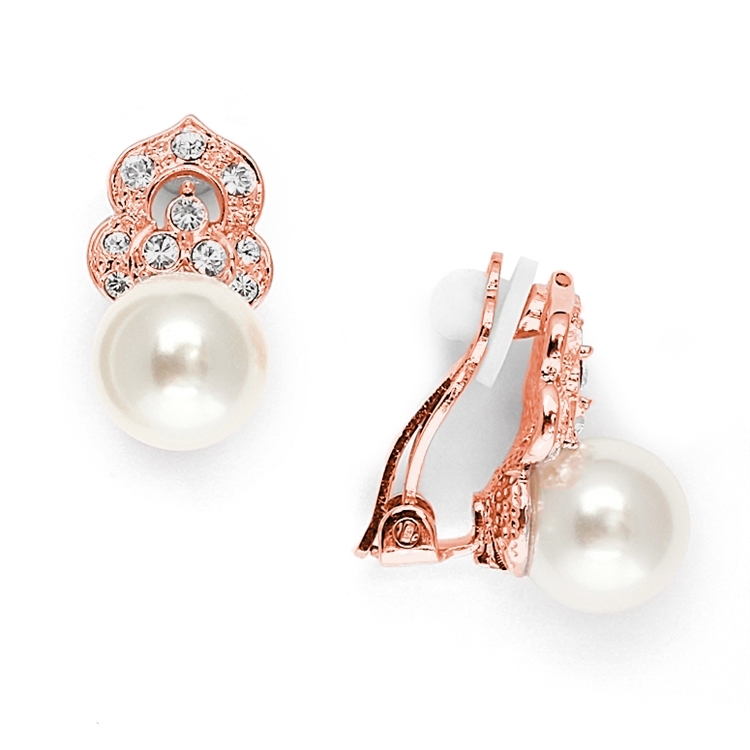 Our 14K rose gold plated wholesale earrings have a bold pearl with a touch of antique CZ flair to match vintage or modern bridal gowns! With a coordinating necklace and clip-on earrings (all sold separately), these bridal earrings will make a great addition to your store's jewelry collection as part of a versatile ensemble.